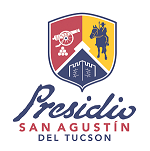 The Saturday Salon and Saloon Lecture Series, sponsored by the Tucson Presidio Trust, will feature “Spanish Patriots During the American Revolution” presented by Letty Rodella. On Saturday, March 2, 2019 at 2:00 pm, come by the Dusty Monk Pub at La Cocina (201 N. Court St., Tucson) for food, drinks, and enlightenment. This is a no-host drinks event with food available – $5 at the door.